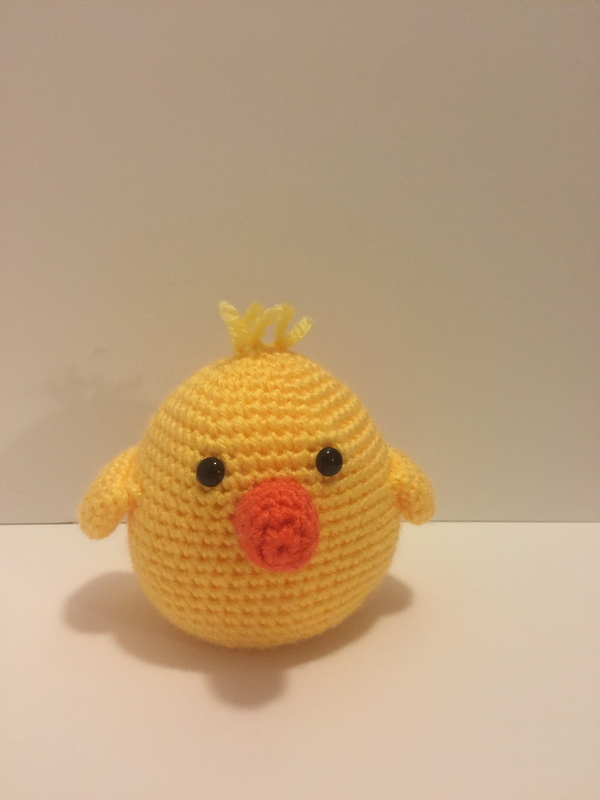 Here is a baby chicken I made. I love how his hair sticks up! Next is Pete. 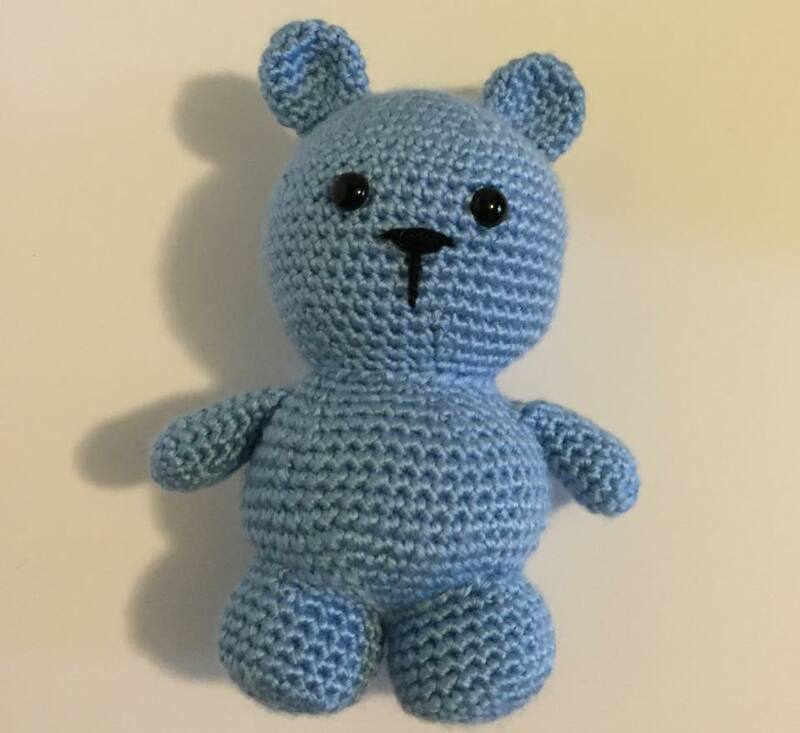 He is a cutie pie blue bear. Then there is this lovely owl. She has a sweet heart on her tummy to remind you she loves you! 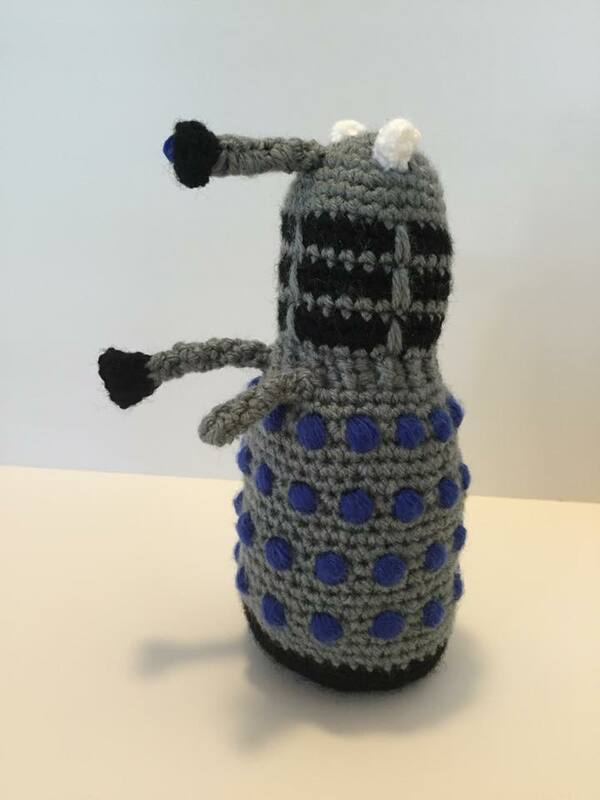 Then I made a really large Dalek, to honor the upcoming Dr. Who Season!!! 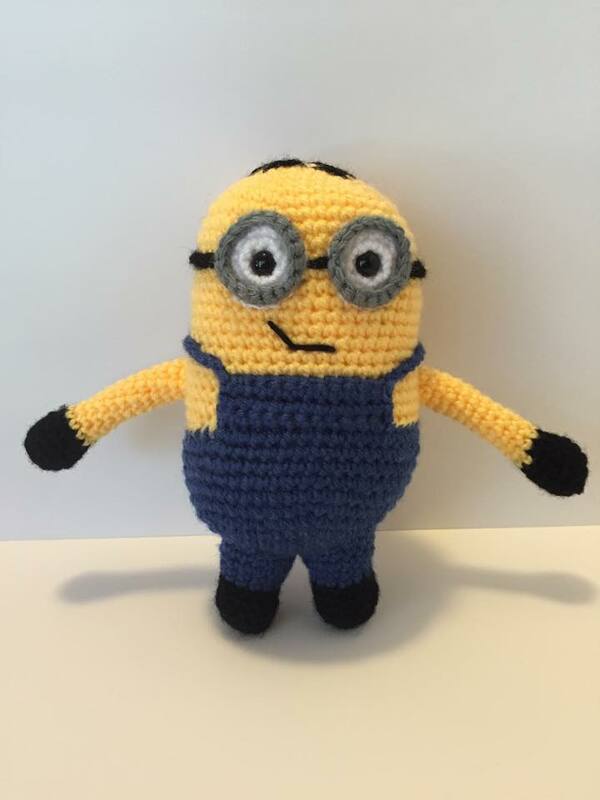 The next one is another minion, about 8 inches tall. 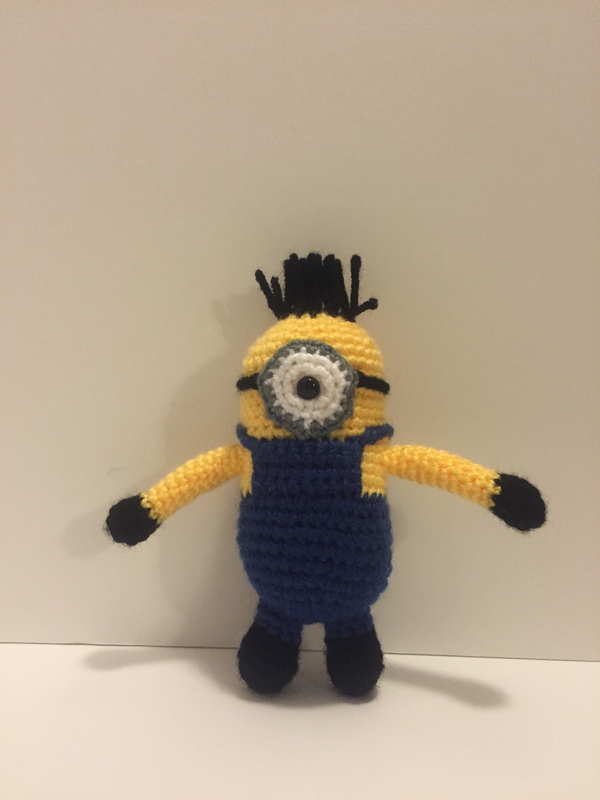 My cousin (from Tennessee) wanted a UTK minion for a friend of hers. I enjoyed this one especially, since UT is my alma mater! 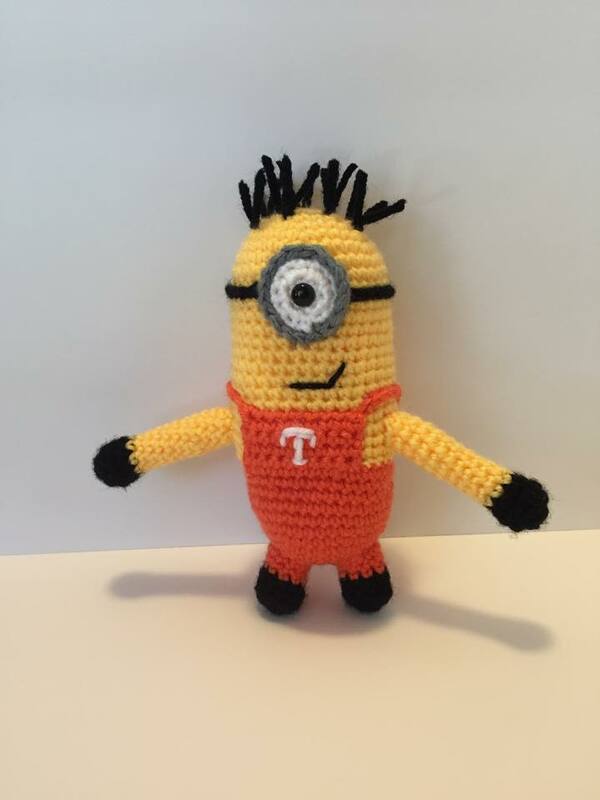 #12 UT Minion – GO VOLS! 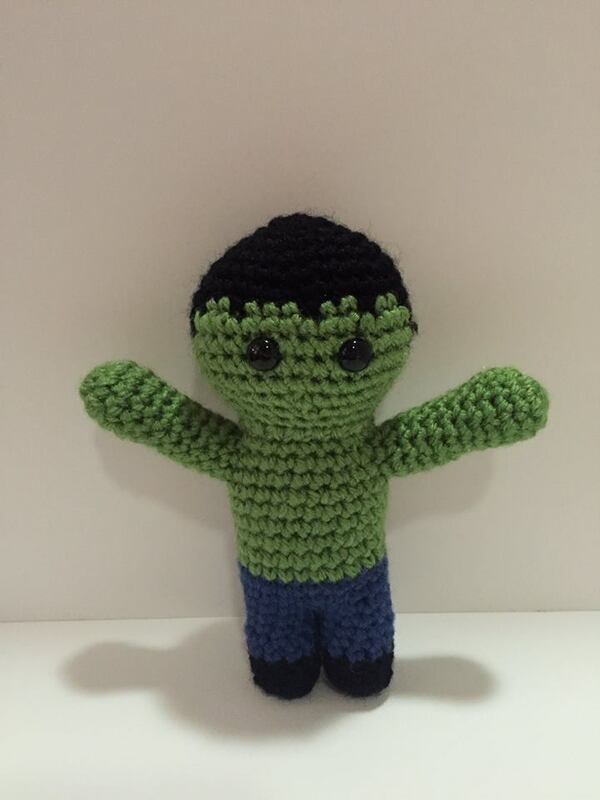 After I saw the newest Avengers Movie, I was inspired to make a Hulk! I hope I can get him some buddies pretty soon. I love dinosaurs! 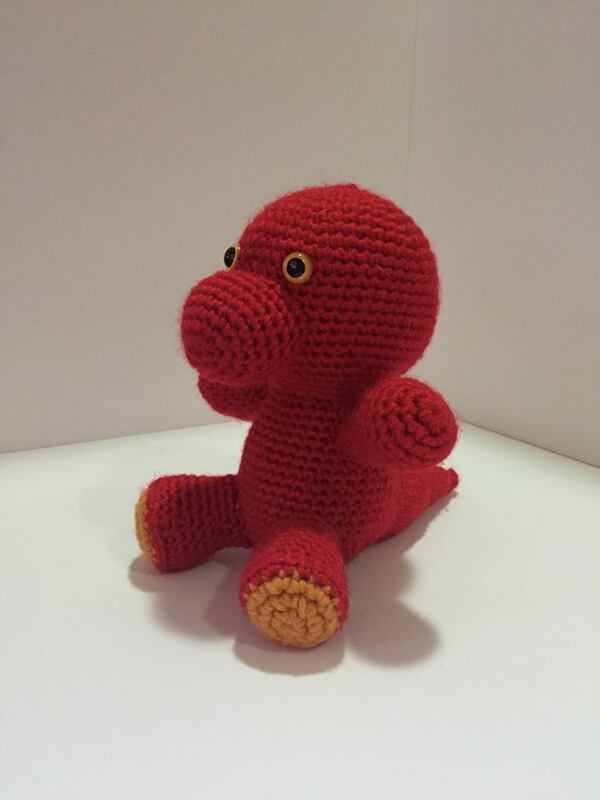 So, I made Tyrone, the Tyrannosaurus to celebrate that love! 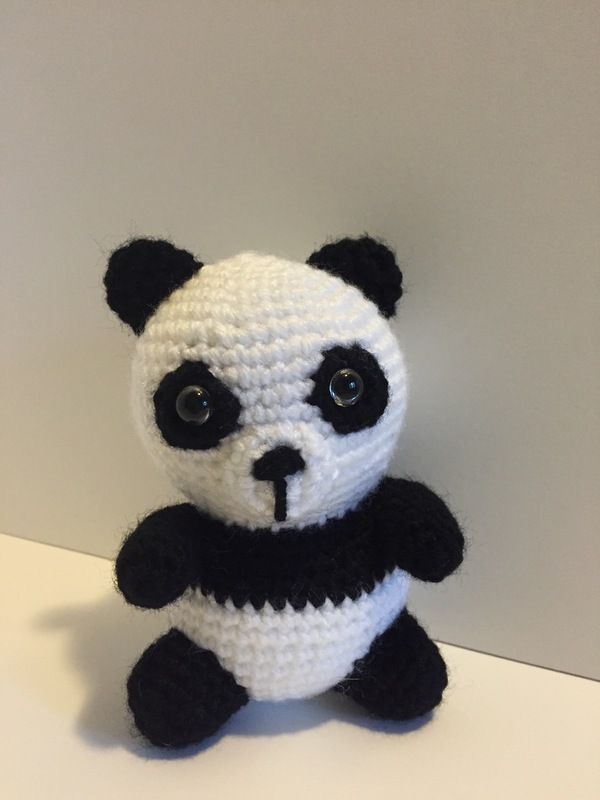 Then I wanted to make a really fat and short panda. 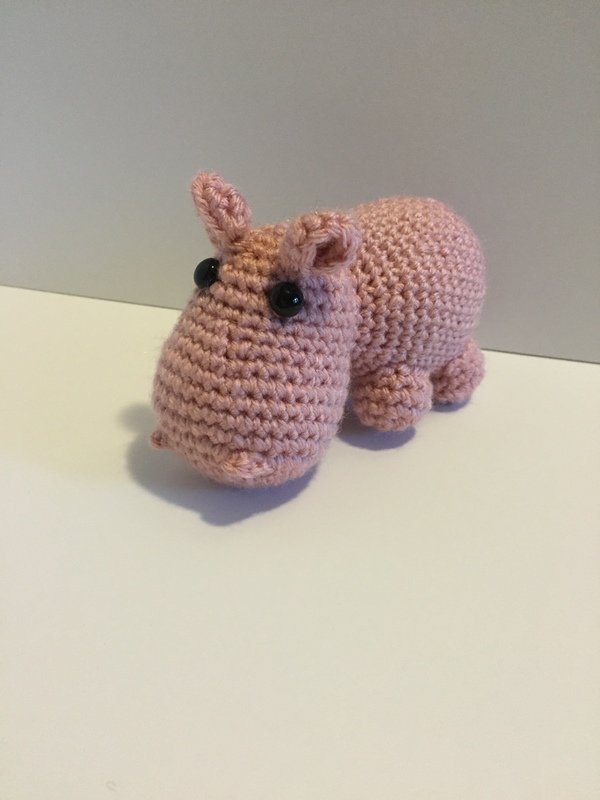 I added a pink hippo to the collection. 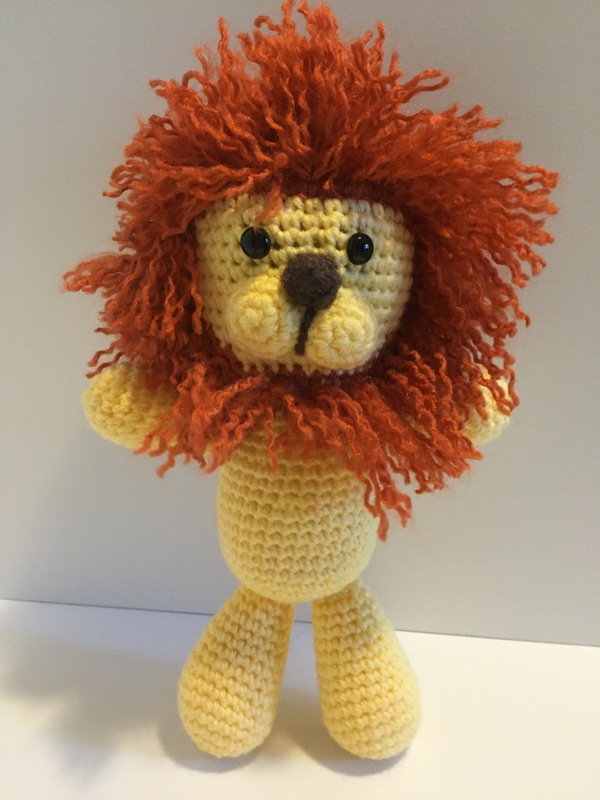 Because of the media stir around Cecil the Lion in Africa, I made a lion and named him Cecil. 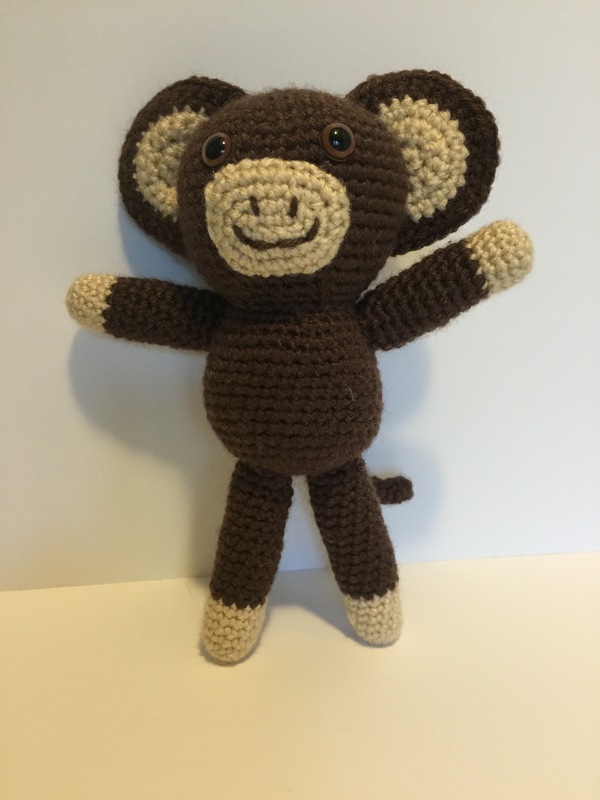 I made a super cute monkey. Finally, I also got really into watching the Justice League and Justice League Unlimited cartoons on netflix, so I am starting on making some of them. 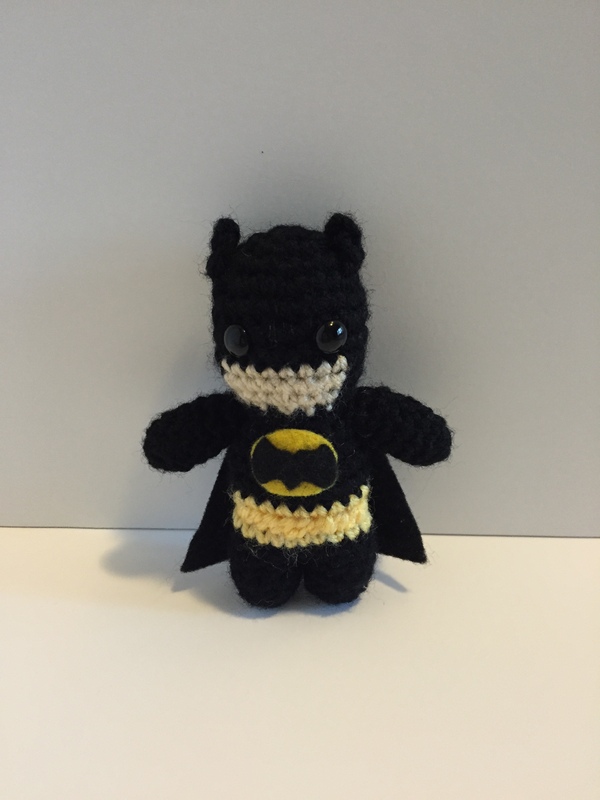 The first is a tiny Batman. 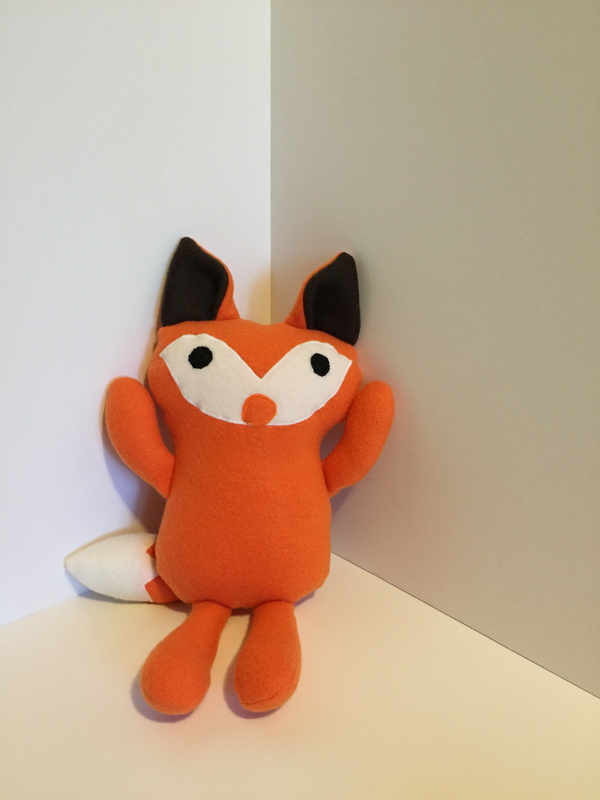 He stands about 3″ tall, so much tiny and adorable! He is already sold as an addition to my dear friends classroom! As you can see, I have been a busy beaver this summer, but not so busy with this that I did not take sufficient time to enjoy being off and stop to smell the so-called roses. Thanks for stopping by and enjoying my creations. You can bring them home with you via my etsy shop. It is (almost) summer!! It is so close to the actual end of the school year, that my brain is already on summer vacation, at least on the weekends. Usually about this time I make a summer “to-do” list, just in case I get bored with my time off. I never actually do get bored, since I have staff development, summer camps, and conferences that I attend. I do have some free time, and I like to have goals and ideas to fill it. 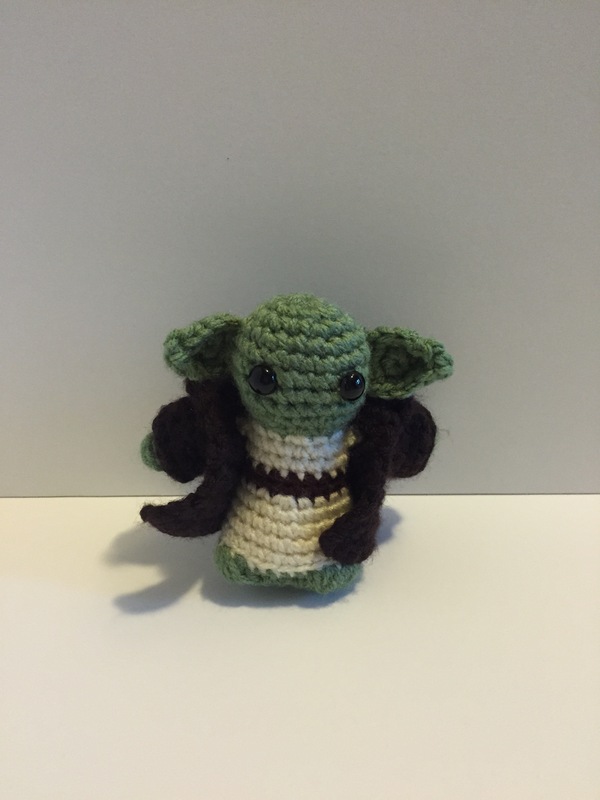 Also, lately, I have been re-inspired to crochet after taking a bit of time off from it. I have made 5 Amis in the last week, and I hope to keep that momentum going for a while. 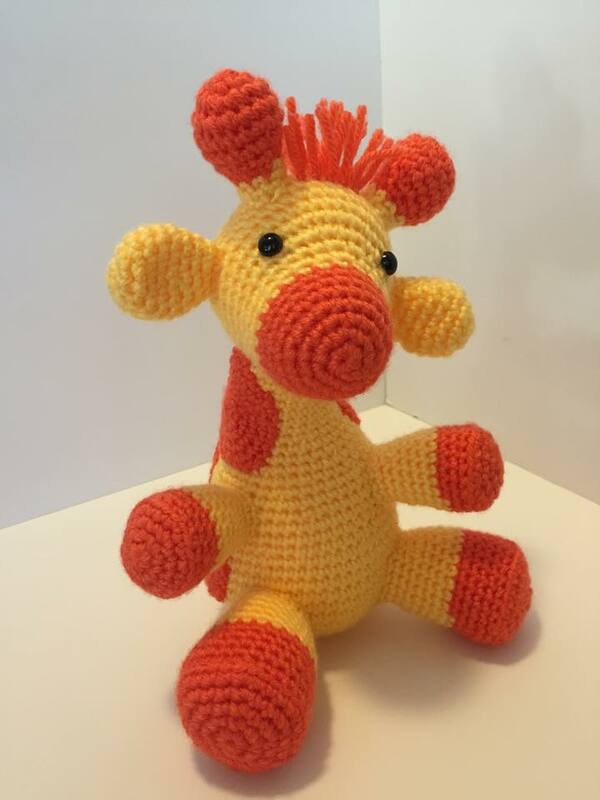 So, I am officially instituting the “50 Amigurumi Summer Challenge!” I am super excited about it! You can join in, or just follow along with me. I will try to post them with stories and captions here, and will also post on my facebook and my pinterest board, as well as on instagram, #50amichallenge. 1. 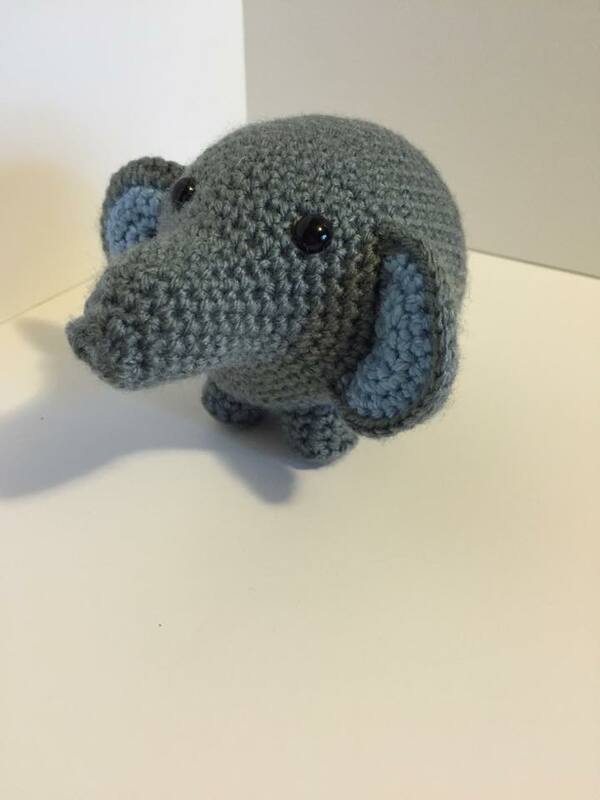 Between Memorial Day and Labor Day, make 50 amigurumi. 2. Post pics and use #50amichallenge on any of your social media! Link back to this post to get others involved. 3. If you use someone else’s pattern, credit them for their work. I look forward to seeing what everyone makes! With that said- Here are the first five of my amis for the #50amichallenge! The second one came out a little taller. 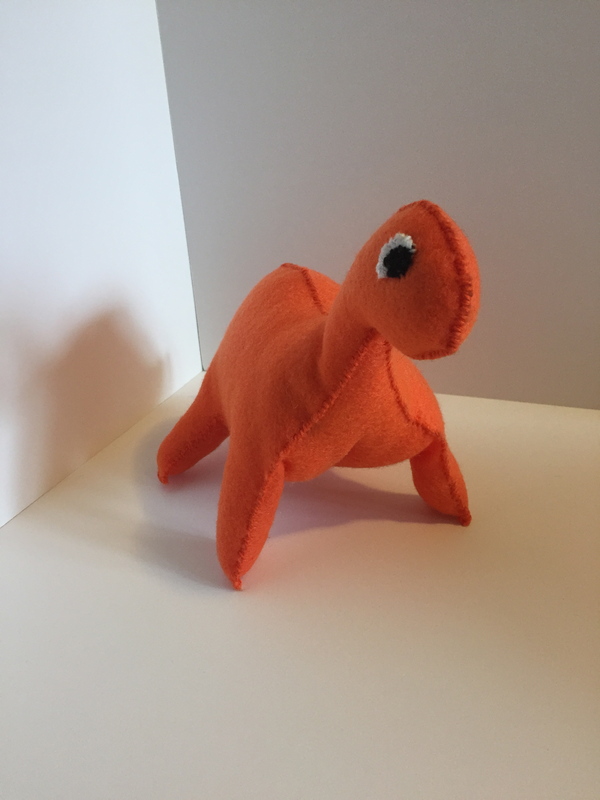 Since these are a school mascot, I will probably make a few more, but I won’t count any more towards the challenge. 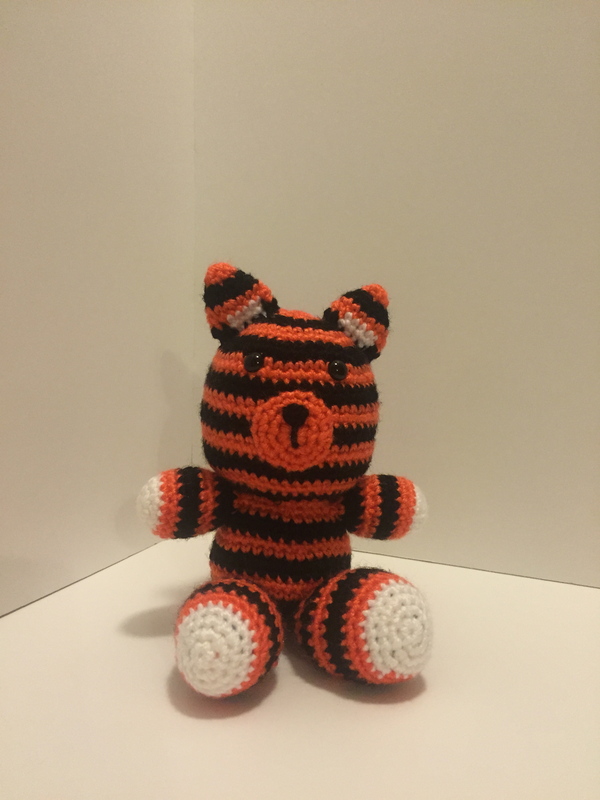 Then I made a cutie, big-headed tiger. #4 is a minion from the movie, Despicable Me. 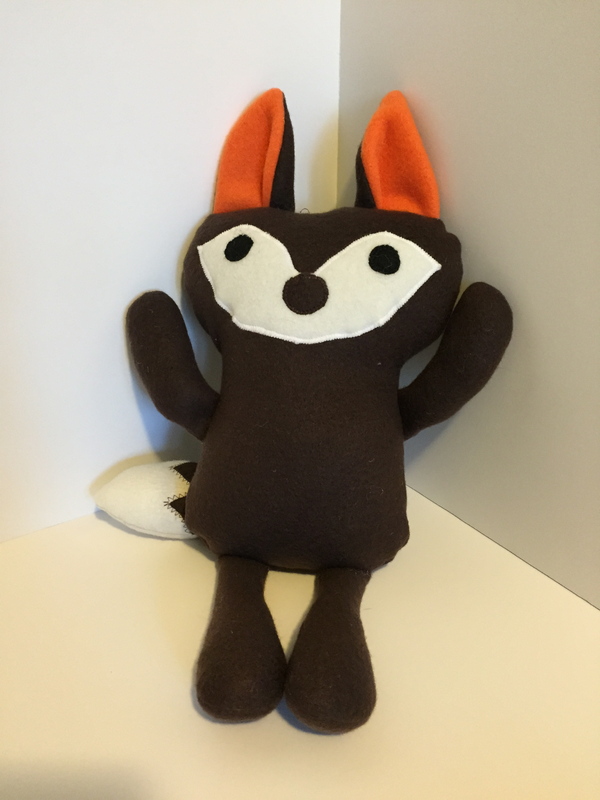 They are freaking adorbs, and he will not be the last one of these I make! I love them! 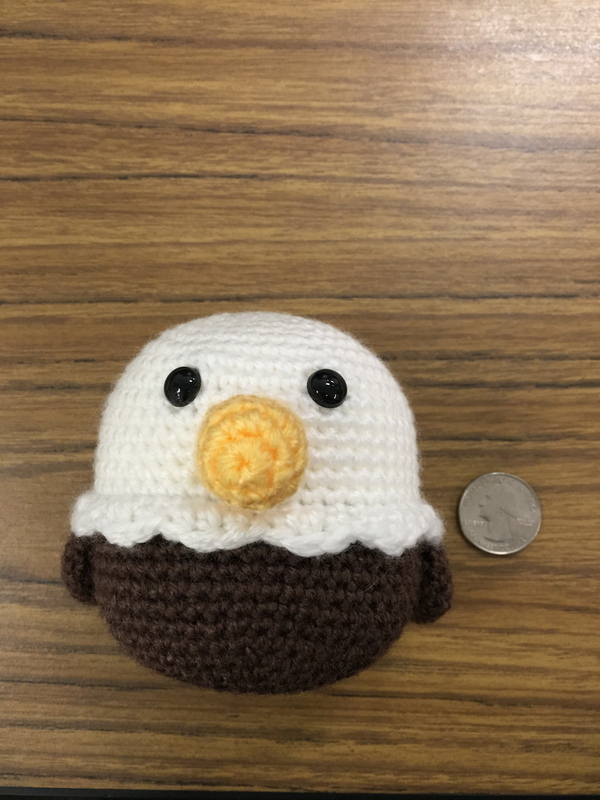 The last of this group is a cute little baby chicken. I hope you enjoyed the first of this series! What do you think? Also, what Amis would you like to see me make? 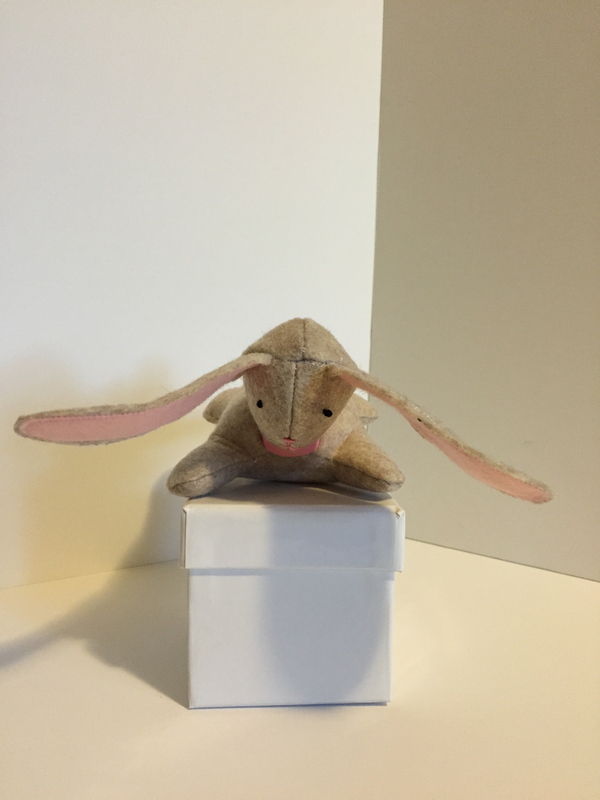 I have been experimenting with a new medium for my stuffed toys – fleece. 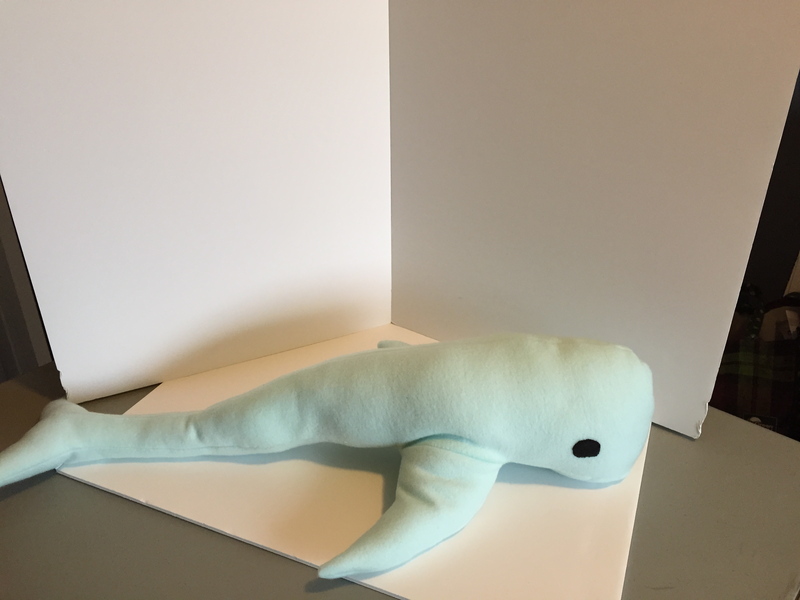 It feels like I am making “real” stuffed animals. It started with my nephew’s dinosaur-themed first birthday party. I wanted to get him a dino book, and stuffed animal to go with it. 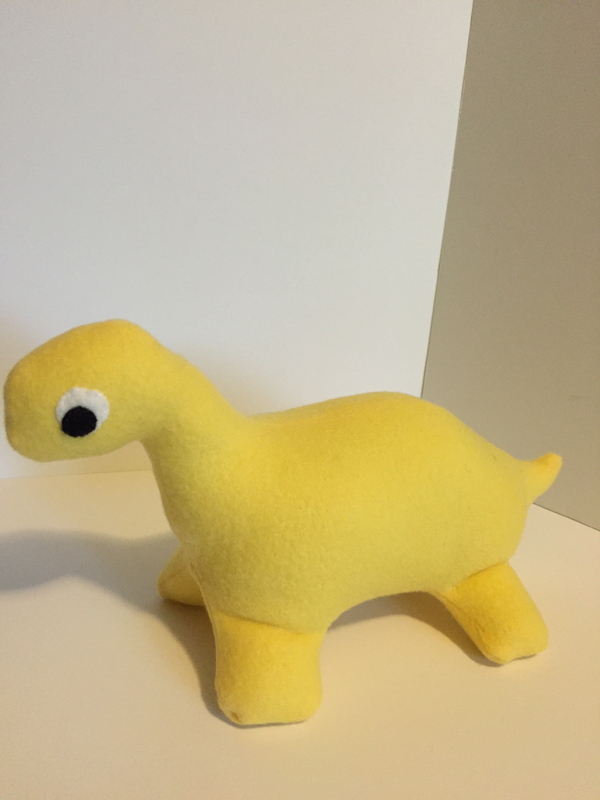 I could not find a stuffed dinosaur that was a generic one (not associated with a movie or game). Plus, most of them were pretty scary, and well, he was turning one. 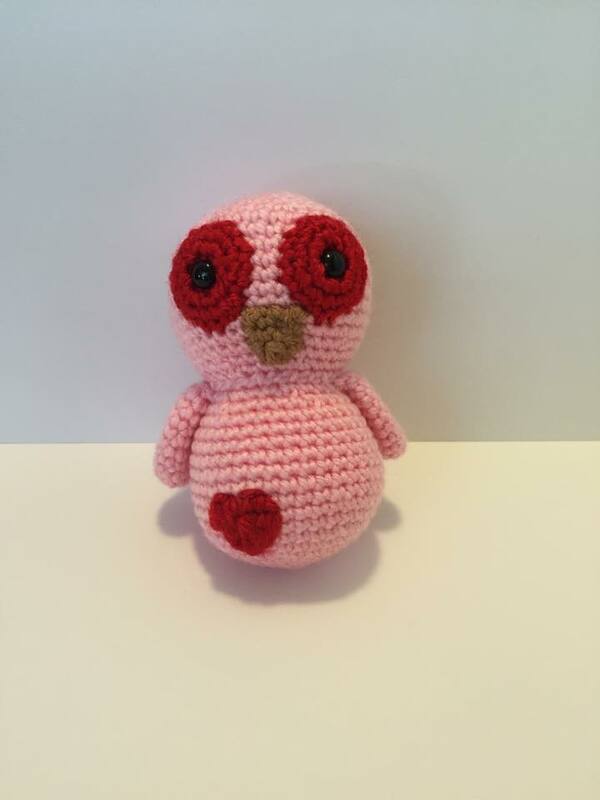 I decided I would have a go at making my own, and it turned out very cute, and very one-year-old friendly. 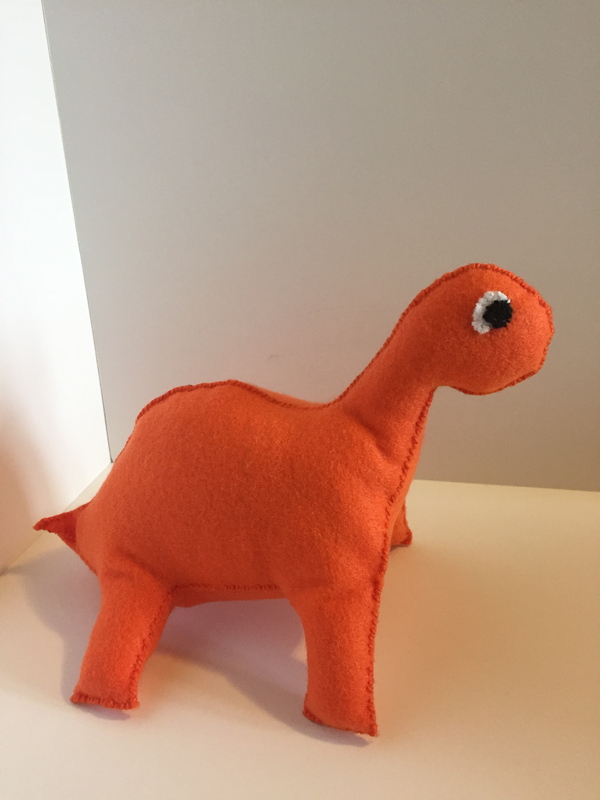 I chose the color to match one of the dinos in the book. 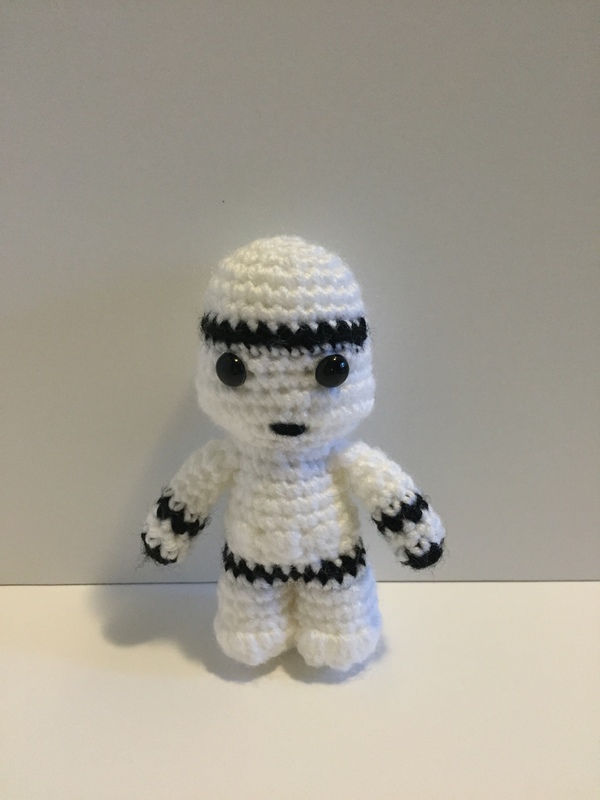 I think he turned out quite well. I hand sewed this one, which takes a long time (well, longer than a machine), so I decided subsequent attempts would be machine sewn. I also gave him larger eyes. I have a theory about the size of eyes being directly proportioned to the amount of cute something is. I made his tummy a bit thinner too, so his legs stand up better. 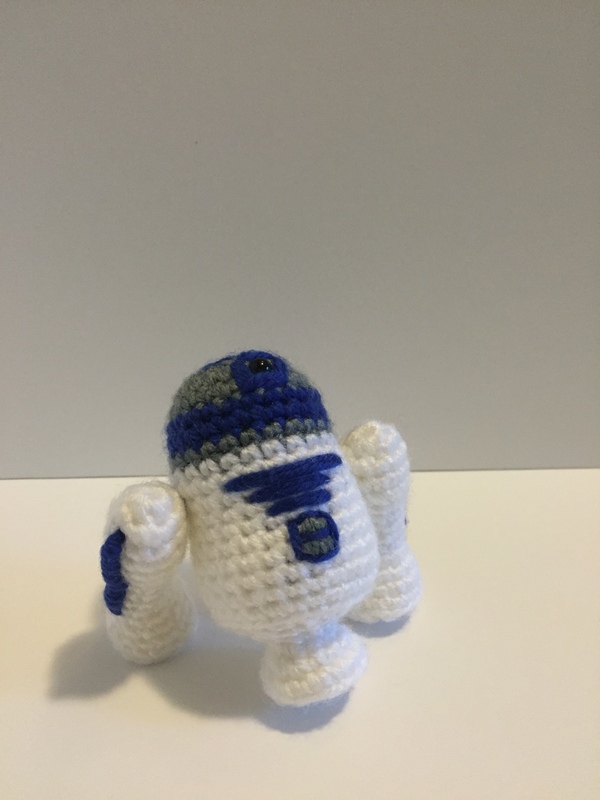 I plan to make a couple more and tweak the pattern. 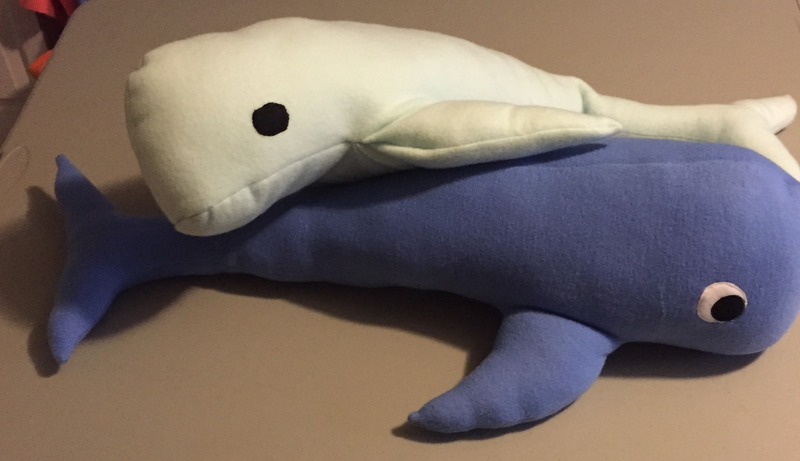 Of course, I try stuffed animals with my very own pattern first, and then do some research and find TONS of free patterns out there. So I decided to try a couple of them out. The first one is a bunny. 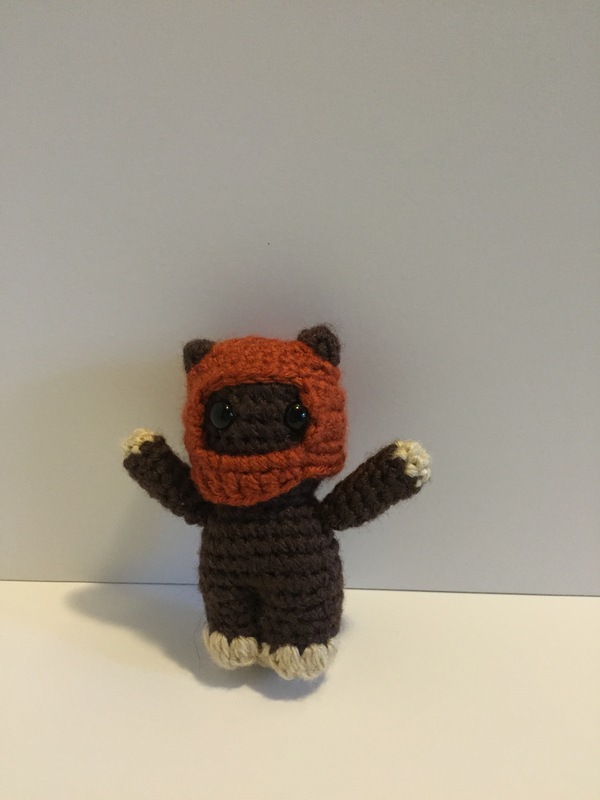 It is a really good pattern, but I used felt instead of fleece, so his ears are a bit too large, and he is not as soft as he could be. 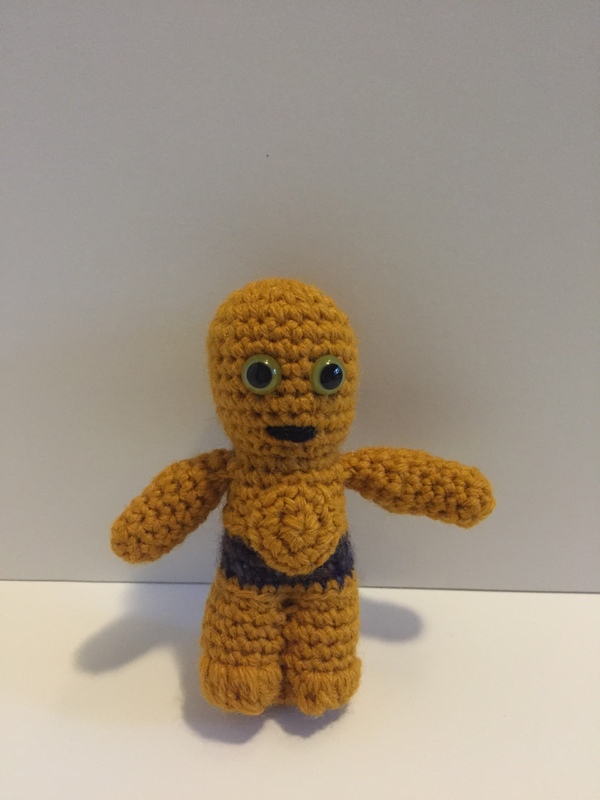 He is still quite cute, and his eyes are my first successful attempt at a French knot! I have been trying to master that one for quite some time! I had a bit of trouble following the pattern instructions, but I think it is due to my inexperience, rather than an issue with them. 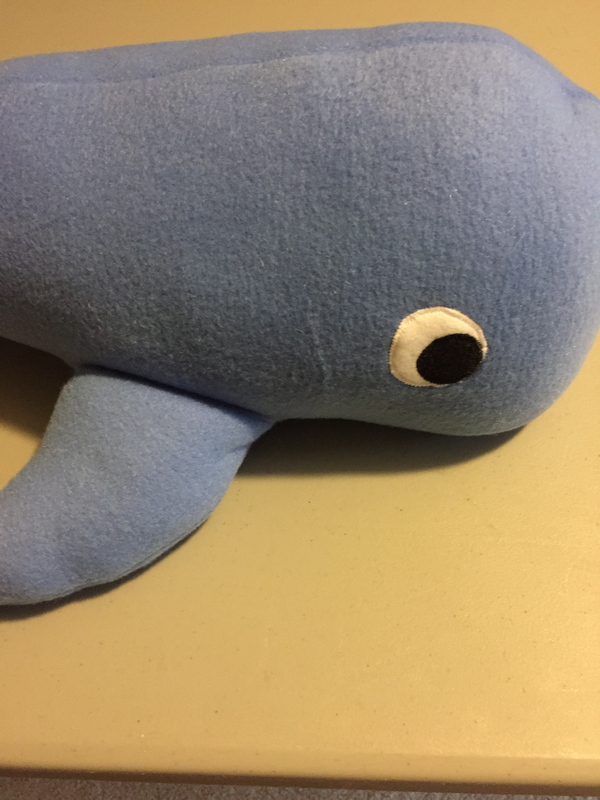 My next project was gigantic, too big even for my photo booth, but I did have a “whale” of a time making him. Again, he is baby safe, and so squishy and adorable. You can make your own using the tutorial found here. Those are 18×24″ papers – he is nearly a full yard long! I love his squish factor and size. Squish factor is a technical term, of course. 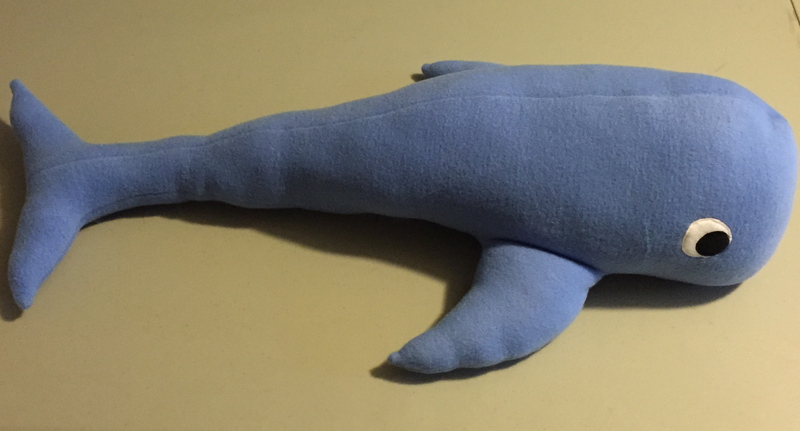 I also made him a rather large buddy in a darker shade of blue. You may be able to see, he is taking up nearly half of a six foot table. I love how his eyes turned out, very expressive. Here they are together. I am sure they will enjoy many hours of swimming together! 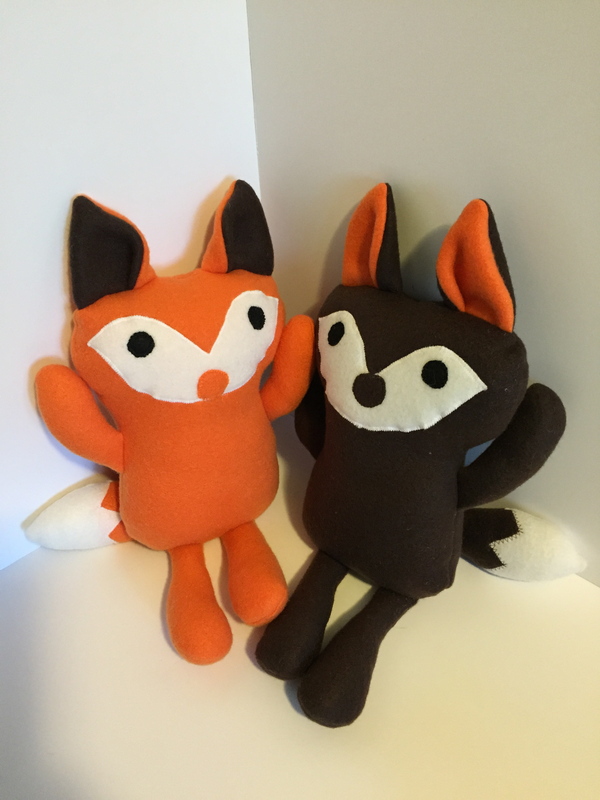 My favorite pattern I have made as part of this experiment has to be the foxes I made using this pattern. It is adorable, simple, and yet doesn’t look too simple. I am thinking about ways I can adapt this pattern to different animals – maybe a dog, cat, elephant? Who knows? They are so cute, and I imagine they are best friends! 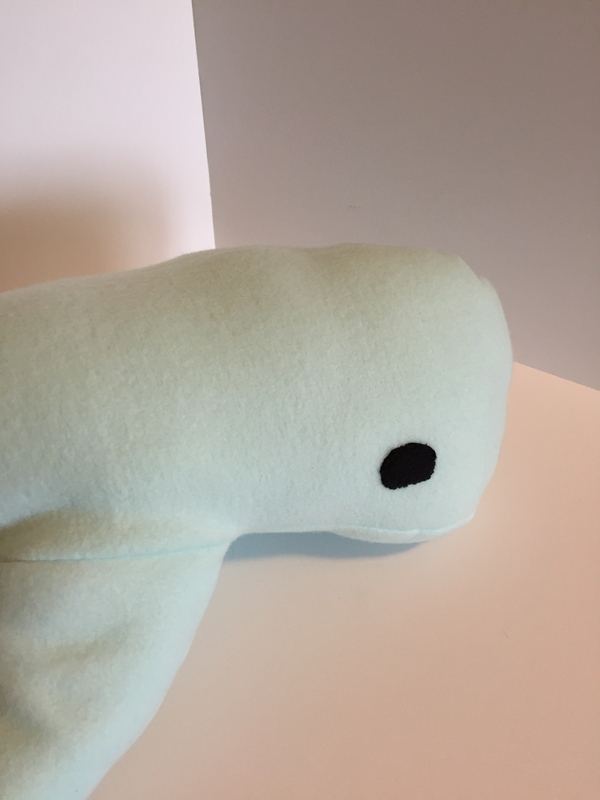 I really got quite a bit of experience with the applique setting on my sewing machine doing their faces. I decided to make them complimentary in color. 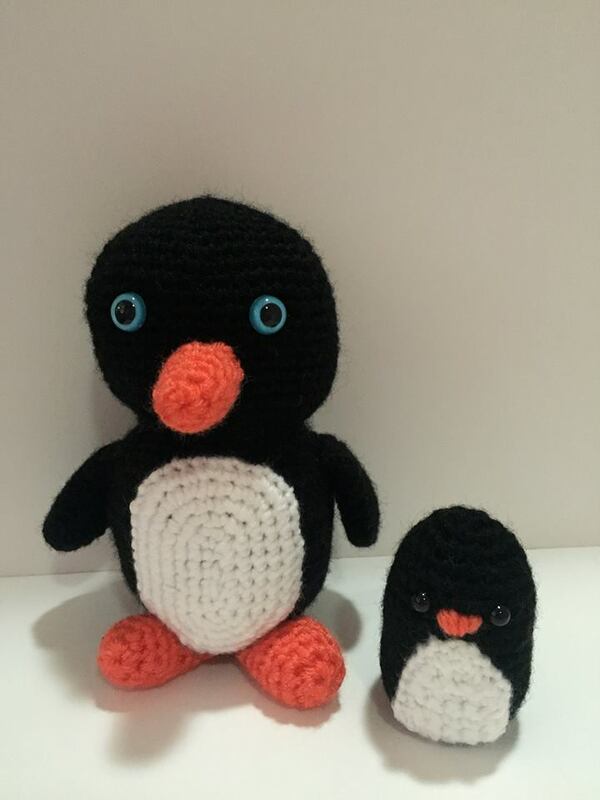 I think they both turned out quite cute. I am very pleased with this little experiment, and I am sure there are lots more to come. I just love working with new things and learning about new crafts. Ever since, I have picked up every stuffed animal I see (dog toys included) to examine their construction. Just like amis, they are basically a combination of simple shapes. I love to see simple things that work together and make a very complex whole. I hope you enjoyed this small stuffed menagerie. 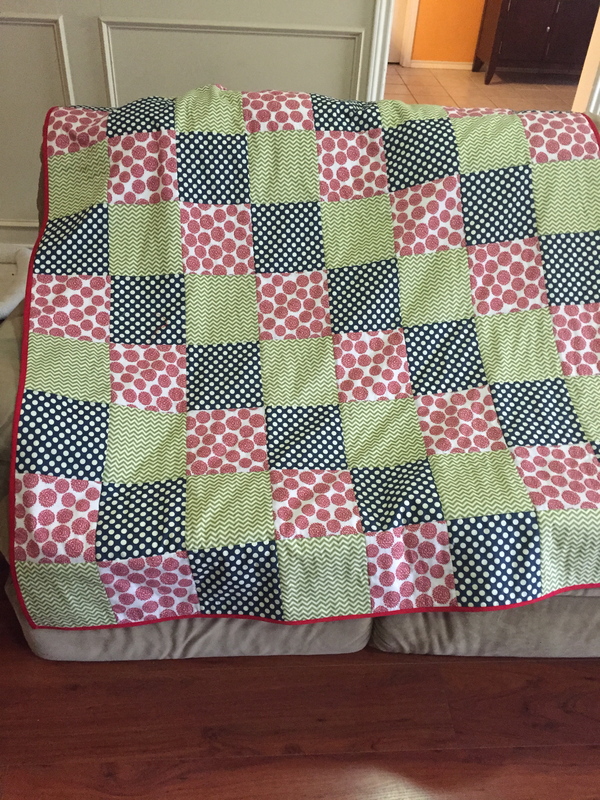 I finally finished my first quilt. It was quite a bit of work along the way, but as soon as I put the binding on and it came together, all the work was well worth it! We had President’s Day off school. I had just returned from a long, but amazing music educator conference, so I needed a craft project to fill the day. 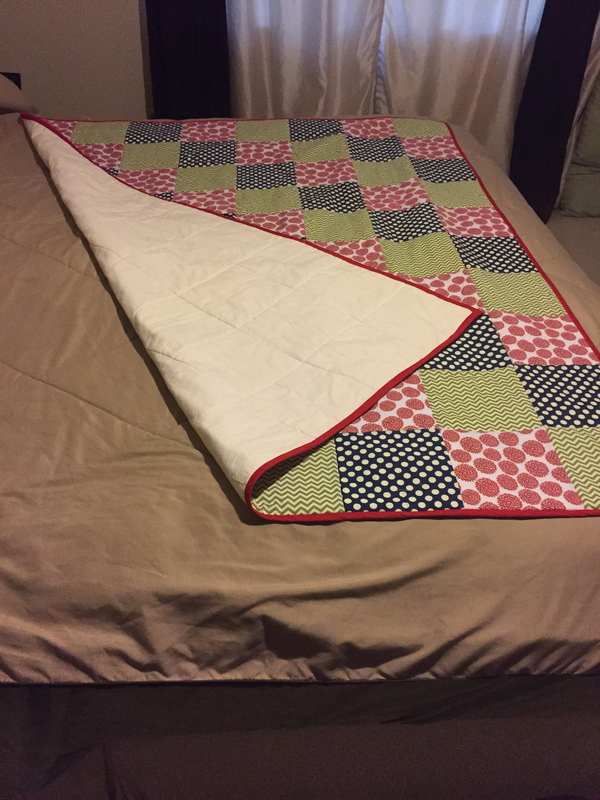 I had already sandwiched my quilt, twice (see this post for details on that learning experience), and it had been sitting, folded neatly, waiting, since then. I declared it quilt finishing day! I gathered all my materials, and got to work. I sewed all my purchased bias tape together to create the binding. I had a slight miscalculation (3 yds = 9 ft, not 3 ft, oops!) 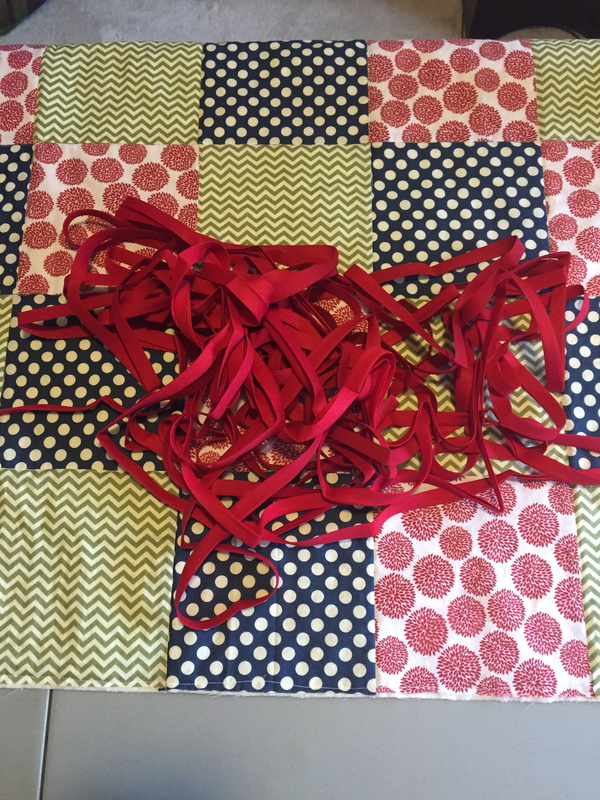 in my binding needed, I now have about 90 extra feet of red bias tape. I guess I will have to find some good use for that, any ideas? In the future, I may try making my own binding for the quilt. 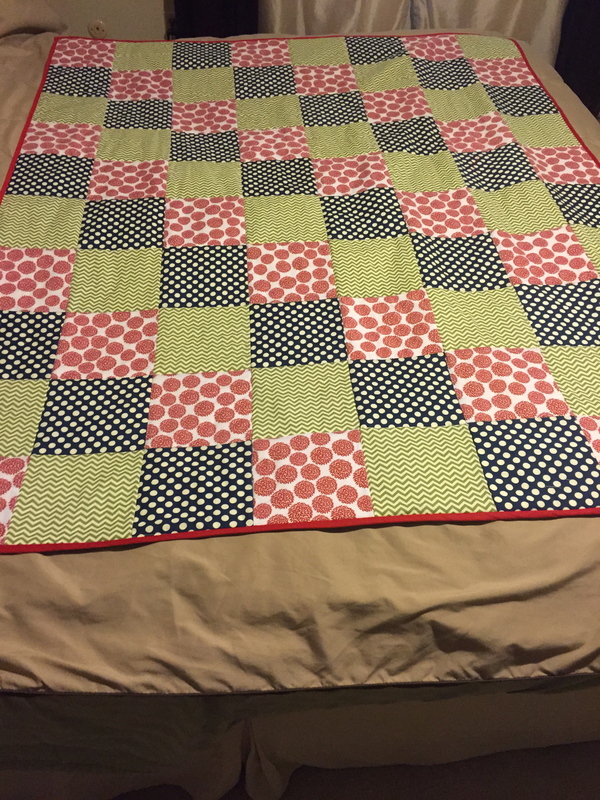 As soon as I pressed and pinned the binding to the quilt, I started to get very excited. 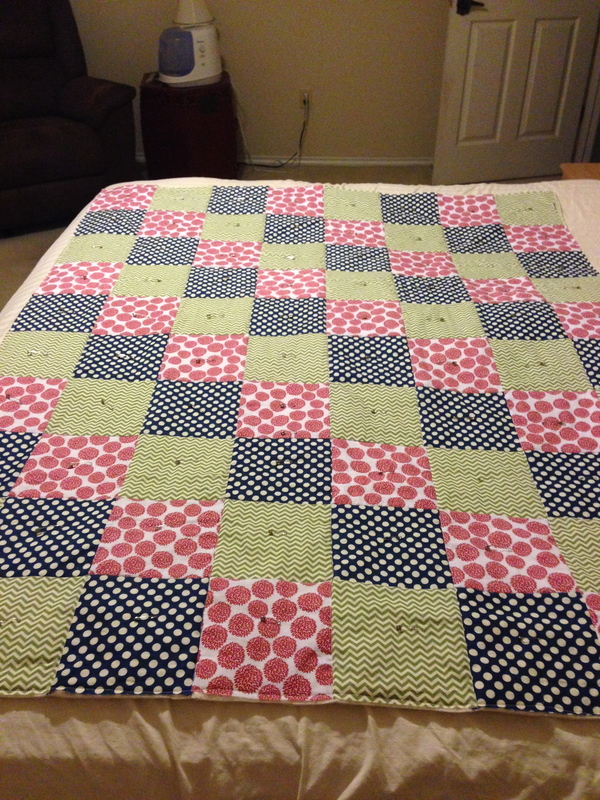 It really looked like a quilt now, and not a bunch of raggedy squares sewn together, slightly haphazardly. I texted DH with a pic of the binding pinned on, with many exclamation points attached to convey my enthusiasm. I watched about 7,000* tutorials on how to sew on binding, how to do mitered corners, and generally how to finish the quilt, and then I finally started to feel confident that I could in fact handle this project. The corners turned out great, very clean looking. The process took most of the day, and slowly but surely, I sewed each side on the front. Then I pressed and pinned and stitched in the ditch to tack down binding on the back. It looks really great. I had only one place where I did not catch the binding on the back but I was quickly able to hand sew and fix that at the end. It is a lap size blanket, and it is very light weight. Here it is in its more permanent home, the couch. I have used it every night since I made it. Since it is still Winter, I have had to use another blanket with it. It is not that warm, because I used cotton batting, but will be just the right thing for Spring evenings. 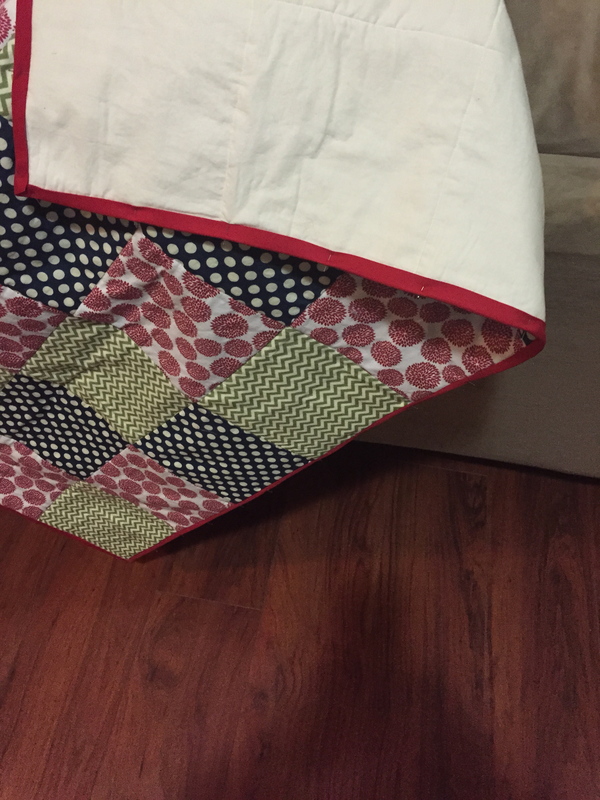 I am really proud of it, and have learned a lot while making it – not just about how to make a quilt, but about being a more confident sewist, sewer, (what is the right word here?). Even though I was nervous about several of the steps along the way to finish this project, I researched the steps, took my time, and really thought through each bit. As I planned out each section I took comfort in knowing I could rip out stitches if they were not right, and although that can be disheartening, I tried not to let it get me down. I did not put a deadline on this quilt, but allowed it to be finished in its own time, which helped make it a very low stress project. I am excited to add this craft to the list of things I enjoy. 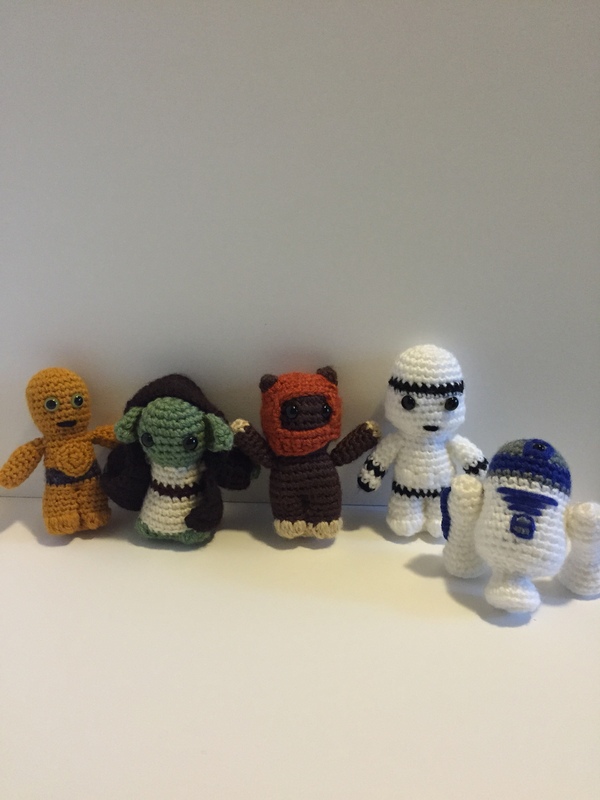 I have been quite busy crocheting up a storm the past couple of weeks. Some things have been special orders, and others are because I am working on having more inventory for my etsy shop, other things are just for fun, just for me. I am still working on it. I hope to have several items posted by the end of this month! Before I post items there, I wanted to show them off here first! 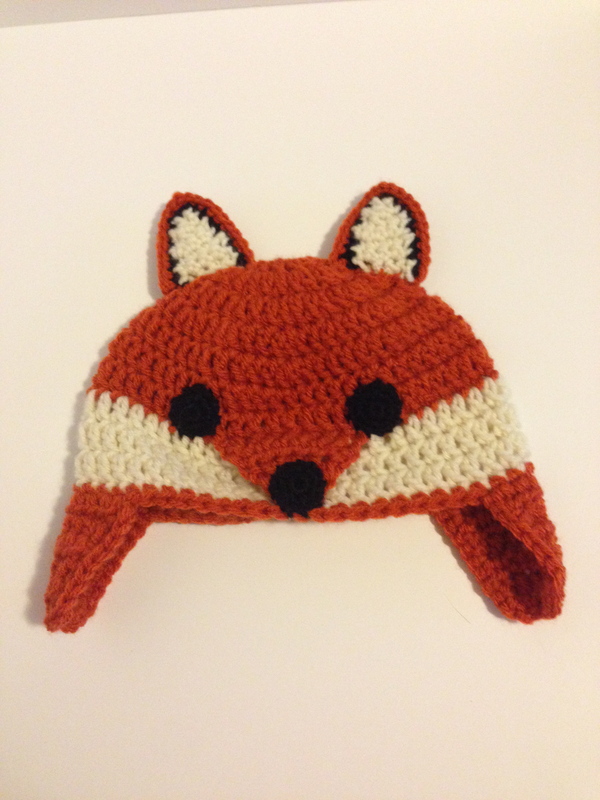 Here is a cute little fox hat I made for a friend of mine. 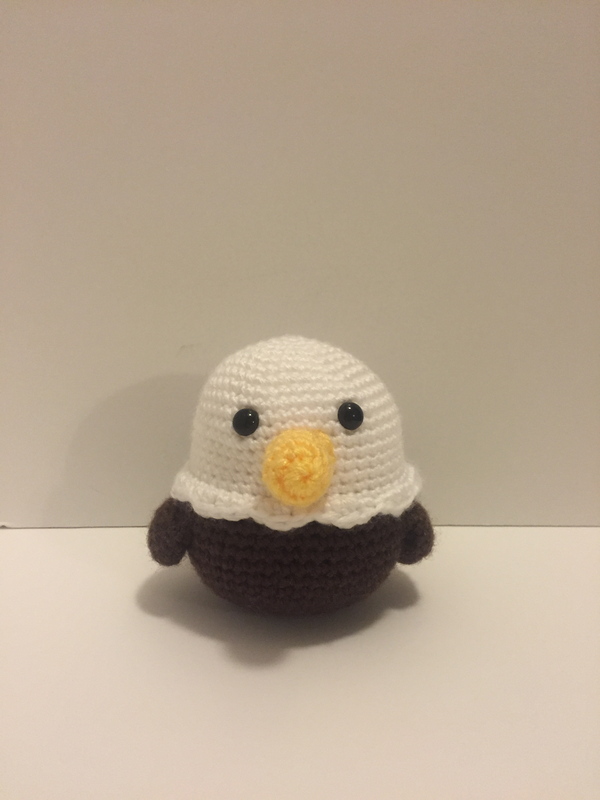 I really need to make some more of these, they are so stinking cute! 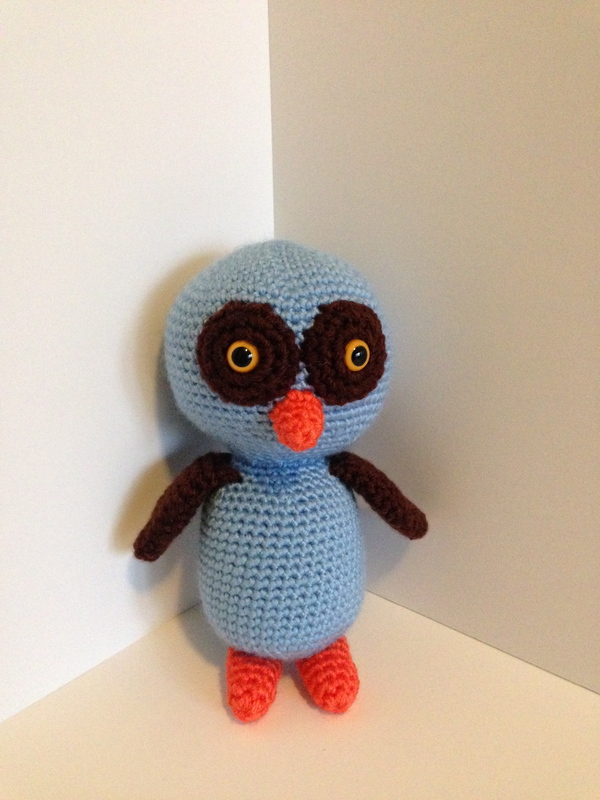 I made this owl for a friend who needed a gift for a baby boy. She requested brown and blue for him. I think it turned out adorable. When my husband and I went to Chicago last summer, I went to a local yarn store and bought some beautiful yarn. I have been holding it for a while, trying to figure out the perfect thing to make with it. While I haven’t figured out what the perfect thing is yet, I could not wait to make something. We have had some really chilly mornings here Texas, which means super cold ears while walking my dogs. 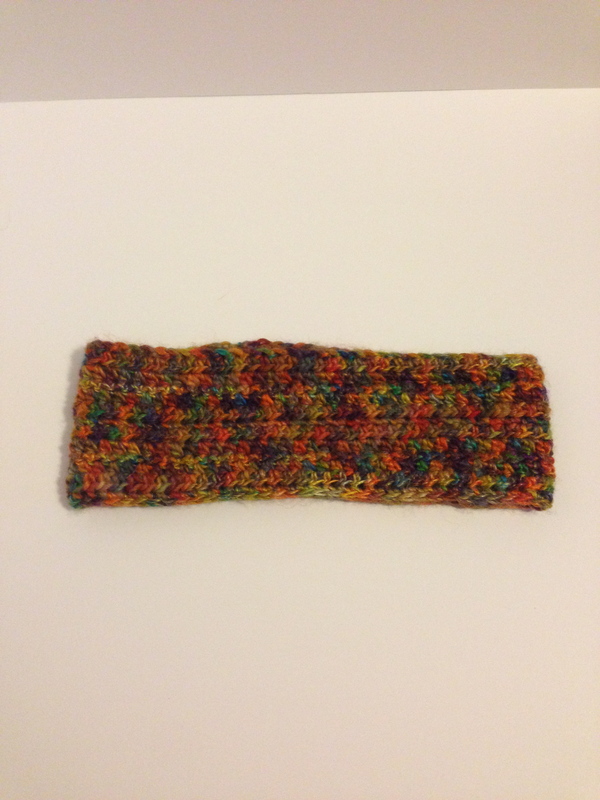 Since this is wool, I made a headband/ear warmer to wear on those chilly morning walks! 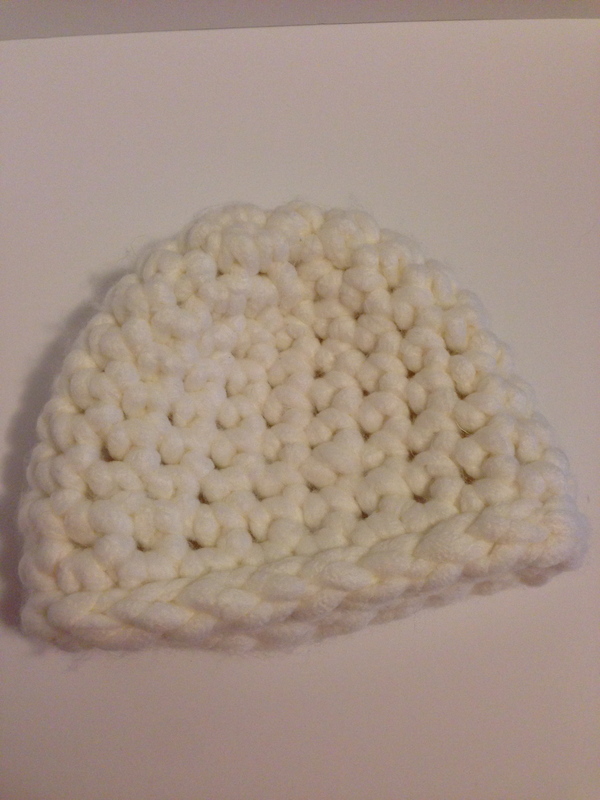 It is a simple single crochet stitch, but the variegation in the yarn makes it looks super elegant. I love it!! 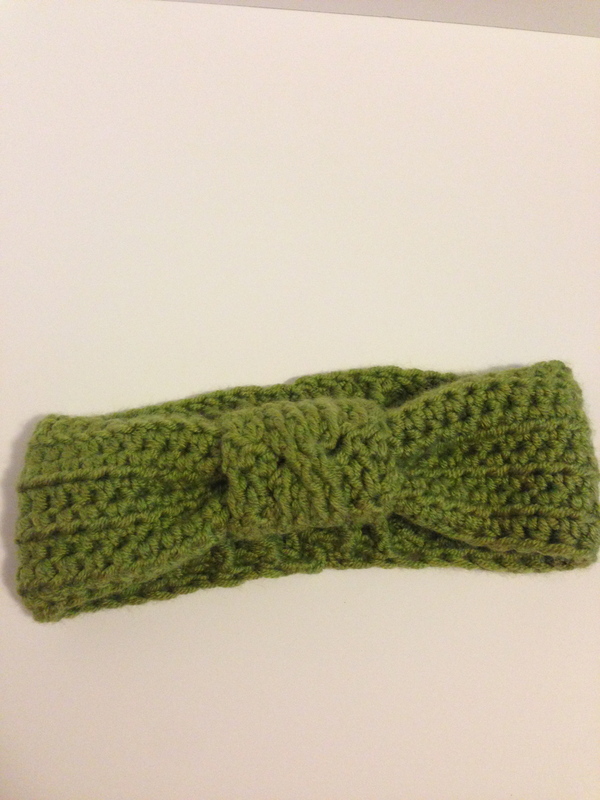 While I was on a headband kick, I made another one from some really thick green yarn. It turned out really cute. I did a faux bow in the front by gathering and wrapping the front with a small piece. On the back I did some front and back post stitches to create a bit of a ribbing to allow it to expand so it would fit snugly around my head. 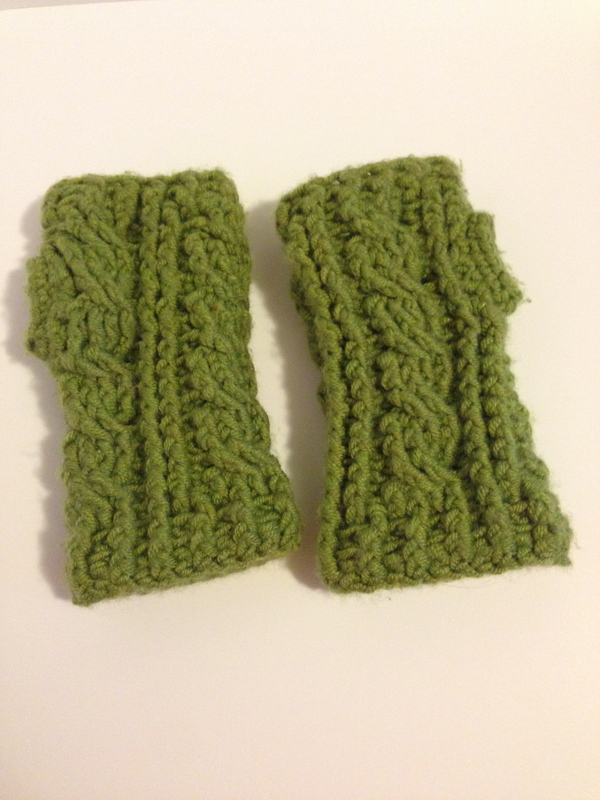 From the same thick yarn, I made some cable crochet hand warmers. They are so cute, and very warm! I use them almost every day. I also made this twisty cowl from a thick, wool yarn. 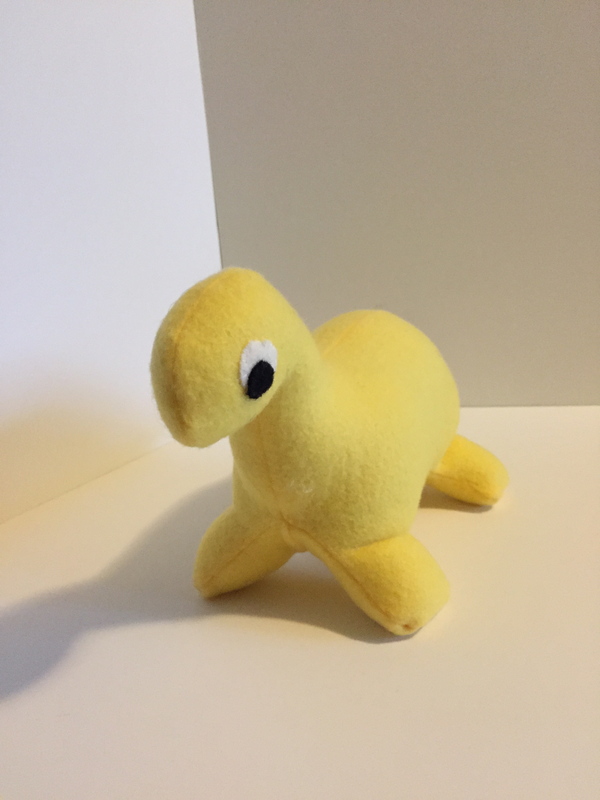 It is super cozy and comfy, and once again, I need a model for it before I post it in the shop. I have a couple of volunteers for the model position, lol, we just need to match up schedules. 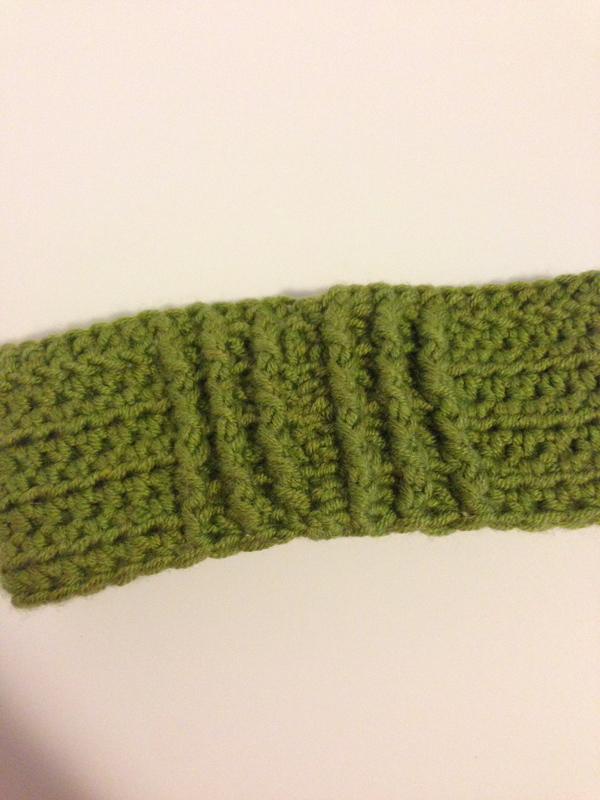 I love it because it uses a new stitch I discovered, the extended single crochet!! It has been so long since I found a new stitch and I immediately am enamored of it! 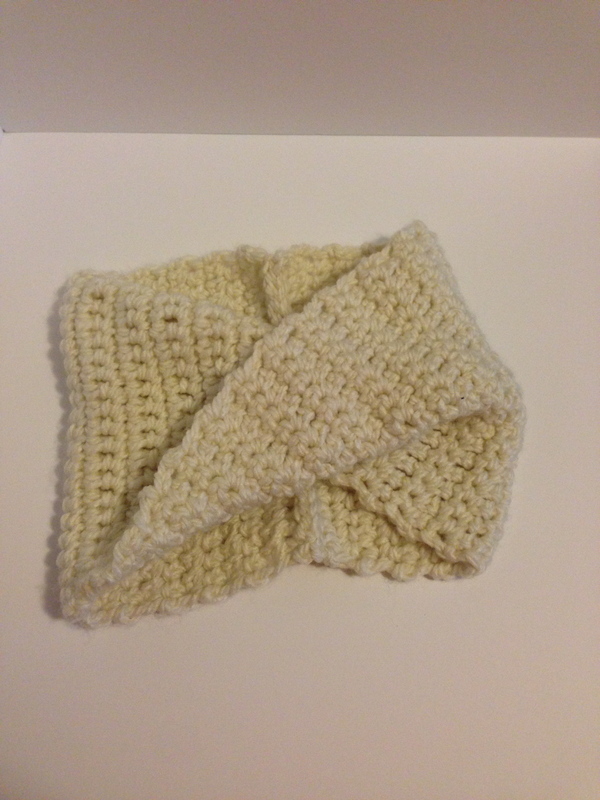 Anyway, this particular cowl is made from from alternating rows of single crochet and extended single crochet. 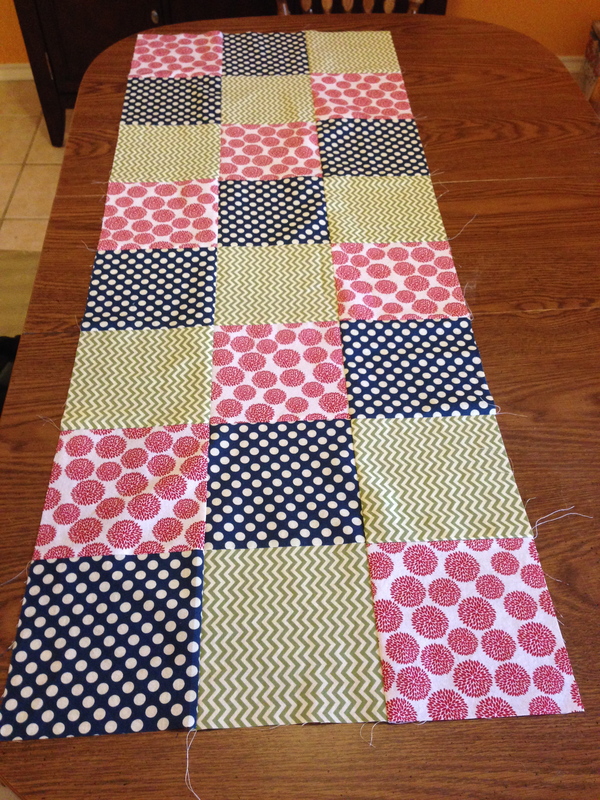 I made a long block, and then twisted it and sewed it together. I love the look of it, and it is really warm. 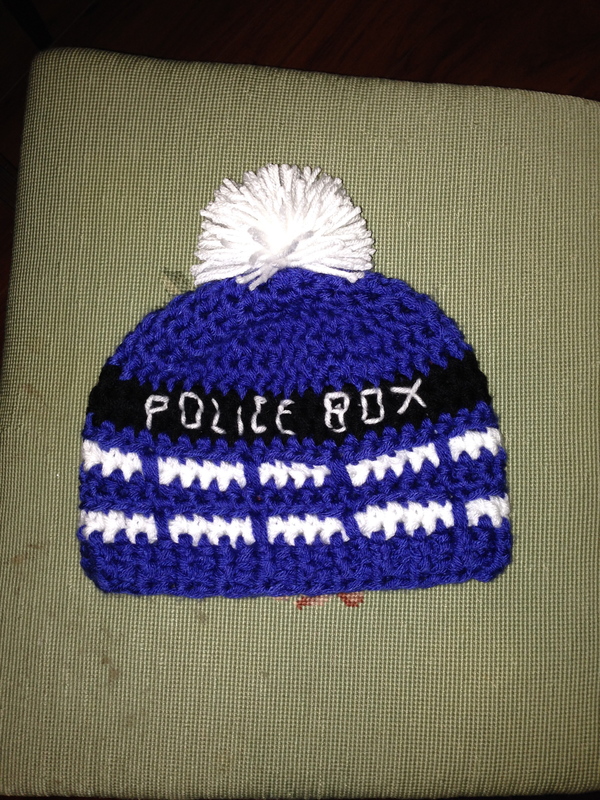 Last one – a Doctor Who TARDIS inspired hat. I am really happy with this one. I used two strands of each yarn throughout. 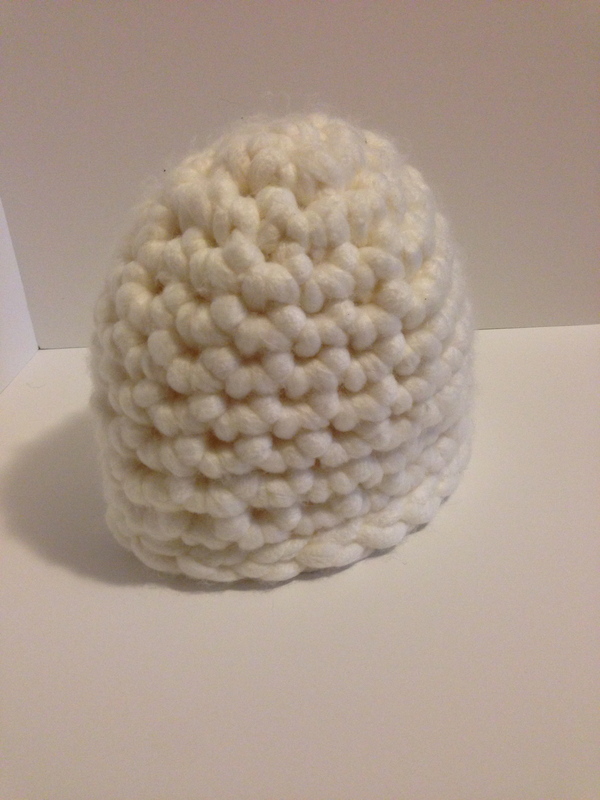 The pom pom is made to look like the light on top. I embroidered the words “POLICE BOX” onto it, and I think it looks pretty good. Yea, Doctor Who! Thanks for looking and allowing me to share this with you! I hope you enjoy them as much as I enjoyed making them! I am sooo excited about this quilt I am making. One of my craft goals this year is to try some new crafts. I want to explore crafting options, trying to keep it fresh. So this month has been a quilty month. 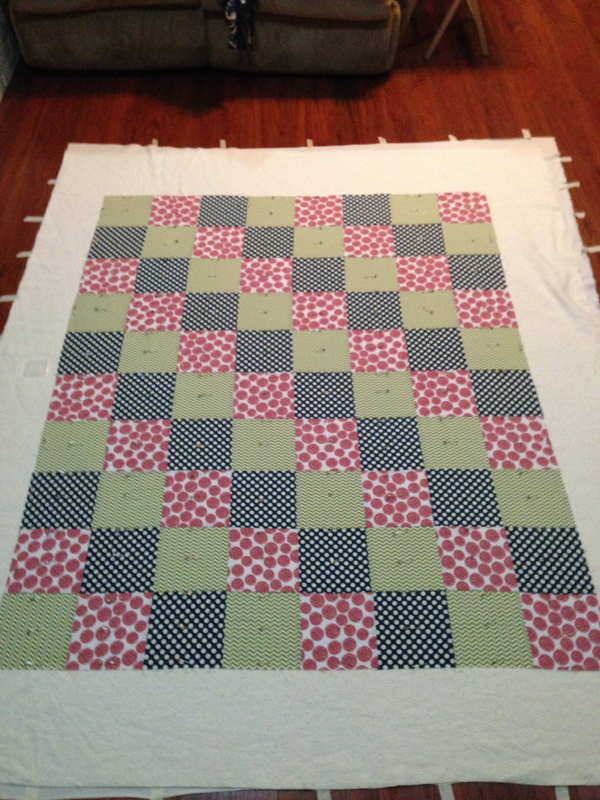 I shared the first step – the quilt top making – here. 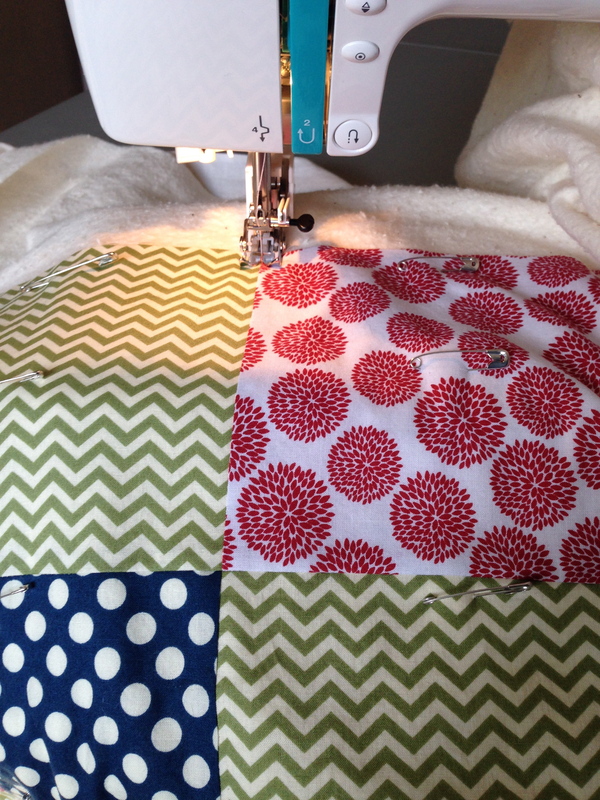 Today, I had some free time, so I decided to go for the quilting! It took several hours of very slow work. I had to fold and roll it strategically to fit it in my machine. I don’t think I would have the patience for hand quilting, although it looks amazing! It was not tedious work, exactly, but it did require quite a bit of concentration. At one point, I had to stop and make buffalo wings for the game today, but then I went right back to it. 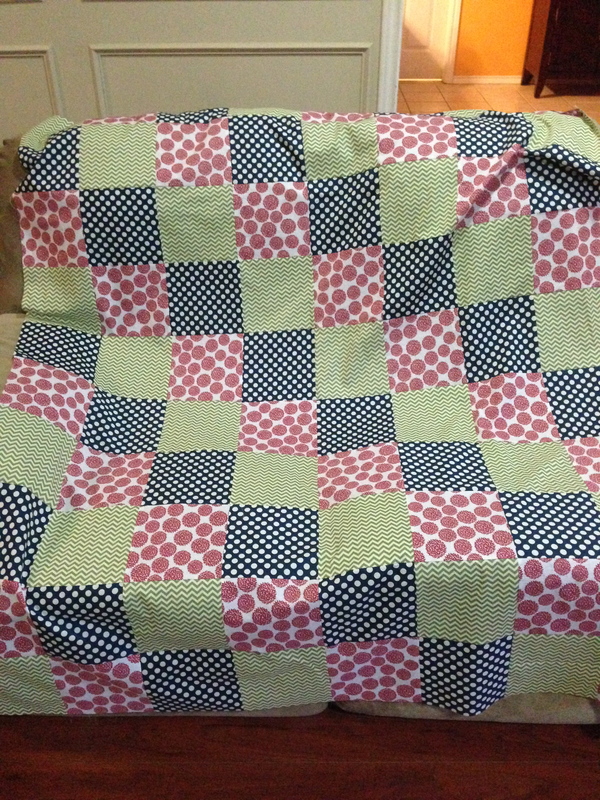 Now it is quilted, and looks great. I trimmed the excess off, and it is ready for binding! I will try to get to that this week, or maybe next weekend. Today, I have a rather large project I am working on to share with you. I am trying a new craft-quilting! So far, it has been pretty easy. 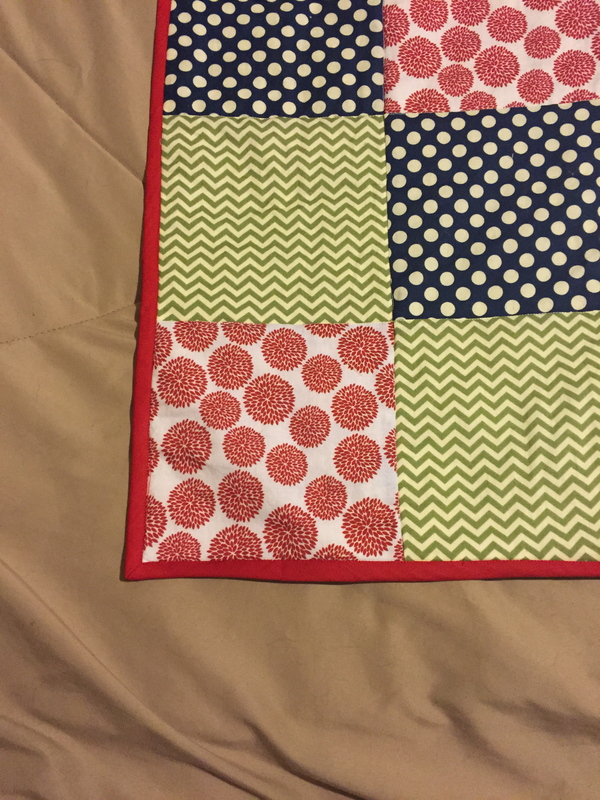 I have made smaller quilted items before, and I took a quilting class at our local craft store with my mom a while back, and it was pretty fun. The block we made was far too complicated for me at this stage, so I decided to make it a little simpler. 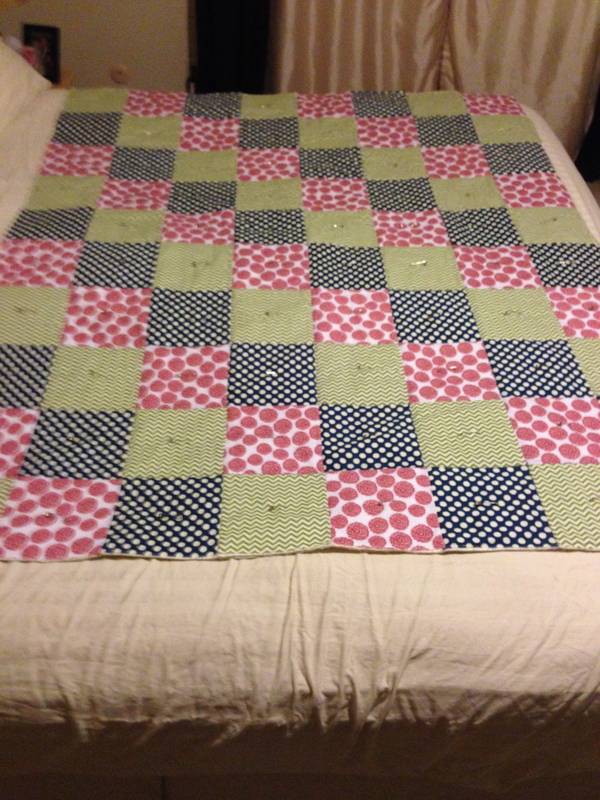 For my quilt, I took 7″ squares in fabrics I really like and sewed them together to make the quilt top. Why 7 inch squares, you might ask? Well, because I confused perimeter and area when I was trying to figure out how large to cut each square. 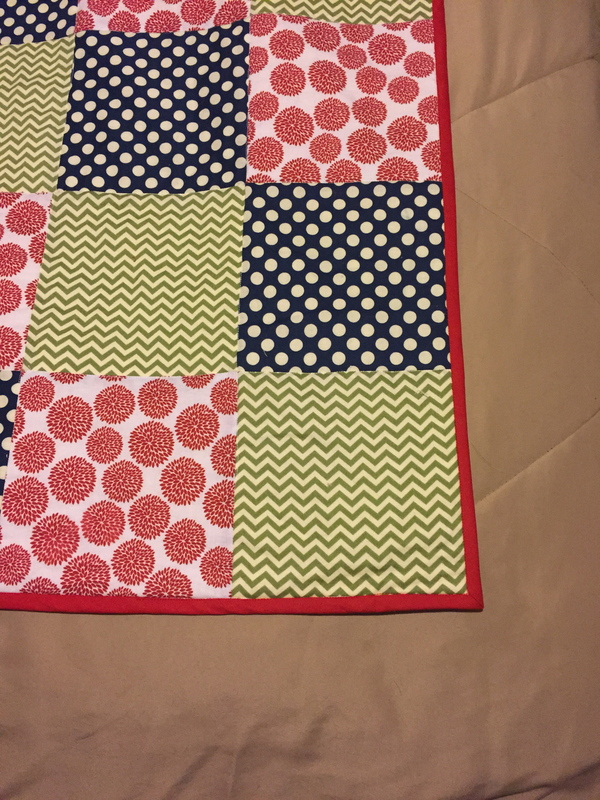 I was thinking 6 inch squares, with 1/4″ seams, and well, mathed it out in my head, and, well, it did not quite work out. It does not really matter, though, as long as they are all the same size. I eventually got them all sewn together and I have 8 columns and 10 rows. It is HUGE!